Get an instant cash loan offer without any credit checks by using the services of expert Pawnbrokers in Waltham Forest. Fill in our online form and get a free valuation of your luxury item from our expert evaluators. We will provide you with an accurate estimate of your luxury asset, based on its actual value. If you are satisfied with our valuation, we will pay you via your preferred method of payment immediately. *Please be Patient after clicking "SUBMIT" big images take time uploading on mobile devices. You will receive a message once finished. Get an instant cash loan offer without any credit checks by using the services of our online expert Pawnbrokers in Waltham Forest. The Luxury Hut can make the process of lending cash simpler. As the well- established high street pawnbrokers, we are dedicated to offering the highest possible value for your luxury assets. Want to get money immediately? Simply fill in the form. The more information you provide, the more accurate our valuation will be. Once you have completed the form, click ‘submit’. Our valuer will then review the information and we aim to respond within 24 hours. Alternatively please call us. With us, you can rest assured you will experience a smooth and reliable Pawnbroking service. As one of the trusted names in the pawnbroking industry, we aim to offer the maximum credit loan against any luxury items. Whether you want a loan to manage your short-term financial needs or make a new investment, The Luxury Hut online pawnbrokers Waltham Forest will always be the right choice. With more than 40 years of combined experience, we have built up the trust of our valuable customers by offering a simple pawnbroking service. The experienced jewellery and watch valuation team at The Luxury Hut will provide you with an accurate quote and the fairest value possible for your item. We will consider the current market price for an item and other factors to determine an accurate estimated value. We will offer you an instant loan with no credit checks. Accept our loan offer and we will pay you instantly. You can decide on the payment method. You will not have to pay any monthly charges until the loan term ends. Our loan term is for up to seven months, and all we ask for is a single payment at the end of the seven months. We charge interest only for the loan months you borrow for. If you borrow the cash for one month, you will pay the interest at the end of month one when you come to redeem your items and so on. You can also pay back the loan at any time within the loan period, by paying off the loan amount along with its interest due. Bring a proof of ID and make a deal with us. No credit checks and hassle-free. As long-established, trustworthy online pawnbrokers in Waltham Forest, we always provide a transparent and honest service. We don’t have any hidden charges or contract fee. We only ask for a proof of ID before issuing a loan. The Luxury Hut guarantees to keep your pawned item safe and secure within the contractual period. If you are looking to raise money by pawning your gold jewellery, just bring them to us. We will provide you with a cash loan on the spot at the highest value possible in the market. At The Luxury Hut, we work with utmost dedication when dealing with every loan against gold items. As experienced online pawnbrokers in Waltham Forest, we believe in providing you with a reliable service and aim to pay the best prices for your gold pieces. The excellent appraisal skills of our in-house team set us apart in this industry. We will assess your item in detail and try to determine its real value. No matter whether your gold piece is tangled, broken or in the worst state, it is always worth something. 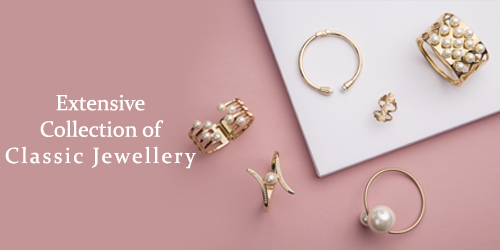 Our professionals can advice on every type of gold jewellery, from rings, earrings to other items. 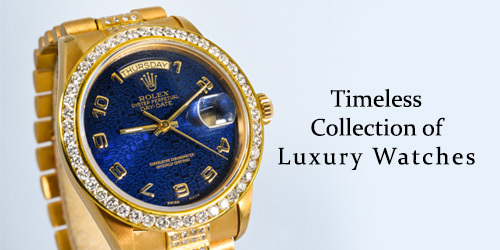 We, at The Luxury Hut, can help you in getting immediate access to the fairest value possible of your collection. Our assessments and appraisals are accurate, trustworthy as well as based on the current market value. Your gold item will be kept secure within the loan period and returned to you after you repay the loan amount along with the interest due. With many years of experience in dealing with diamond jewellery, The Luxury Hut can provide you with an accurate valuation every time you bring a diamond piece to us. Like any other reputed diamond specialists, we will note down the details like carat, colour, cut and clarity of your diamond. Considering each of these factors, we will determine the best possible value of your diamond jewellery. Once we determine the value of your diamond item, we will offer you an instant loan. If you agree to our offered value and loan terms, you will get a secure loan contract without any credit checks. The Luxury Hut provides an entirely confidential and transparent service with no hidden fees. You can pawn a diamond ring, engagement or wedding ring or pawn a diamond necklace. We aim to provide the maximum credit amount for any diamond item along with expert advice. The Luxury Hut manages each loan transaction quickly and securely and guarantees to keep your pawned asset secure within the loan period. If you want to pawn your luxury watch and get an instant loan, turn to The Luxury Hut pawnbrokers online Waltham Forest. We have specialists of fine watches who have extensive experience to appraise a luxury watch and determine its real value. Bring your watch to The Luxury Hut and get an instant loan against it with no credit checks. Our in-house luxury watch specialists consider the current market value of a watch along with its model, manufacturer, age, condition, demand and availability to come up with an accurate valuation. However, the original box, receipt, guarantee papers or servicing paper can help you to get the highest value possible for your watch from The Luxury Hut. To get 100% secured and immediate cash loan, get in touch with us right now. You can pawn your jewellery and get an instant cash loan by getting in touch with one of the most trustworthy pawnbrokers in Waltham Forest. With a longstanding presence in this industry, The Luxury Hut ensures to pay the highest possible value for any exquisite jewellery pieces. Our in-house professional team is happy to provide loans for all kinds of jewellery. It can be earrings, necklaces, rings, bracelets as well as any gemstones. With us, you are assured to get immediate access to the best possible price for your jewellery piece. The Luxury Hut offer professional advice and appraisal on vintage jewellery as well as gemstones, including diamond, sapphire, ruby, emerald and others. Our experienced and certified experts can quickly determine the authenticity and value of gemstones. We make every valuation accurate based on the actual market value and other contributing factors. Our appraisers are always available to advice on your exquisite jewellery items. We have been trading as pawnbrokers for years and have satisfied many customers who decided to opt for a loan against luxury items from us. We can offer you the best customer service and fairest possible amount of cash loan instantly. Call one of our experts at The Luxury Hut today on 0207 242 5411 or email at [email protected] and arrange an appointment or visit our office in Hatton Garden, London. We have 40 years of combined experience in the watch and jewellery industry, and all of our experts are highly trained, knowledgeable and amongst the top in the industry. With an established name and presence online, as well as a reassuring Hatton Garden, London office we offer you security and a peace of mind that you are dealing with a reliable and trustworthy company. We offer competitive prices for any pre-owned watches and jewellery. Can pay in cash or other preferred methods of payment instantly for your convenience. © The Luxury Hut is a trading name of Golden Cash Limited. Authorised and regulated by The Financial Conduct Authority for pawnbroking. Registered in England as Golden Cash Limited. Registered Number is 07309335. Registered office address: Treviot House, 186-192 High Road, IIford, Essex, IG1 1LR.